Est. in 1976, Machinecraft is a 3rd generation family run company which manufacturers thermoforming (plastics processing) machines out of Mira Road near Mumbai. With installations in more than 35 countries, the company makes around 50 machines a year for automotive exteriors (especially bus body parts), sanitation, luggage and packaging industry. The company had a wide customer base until now. 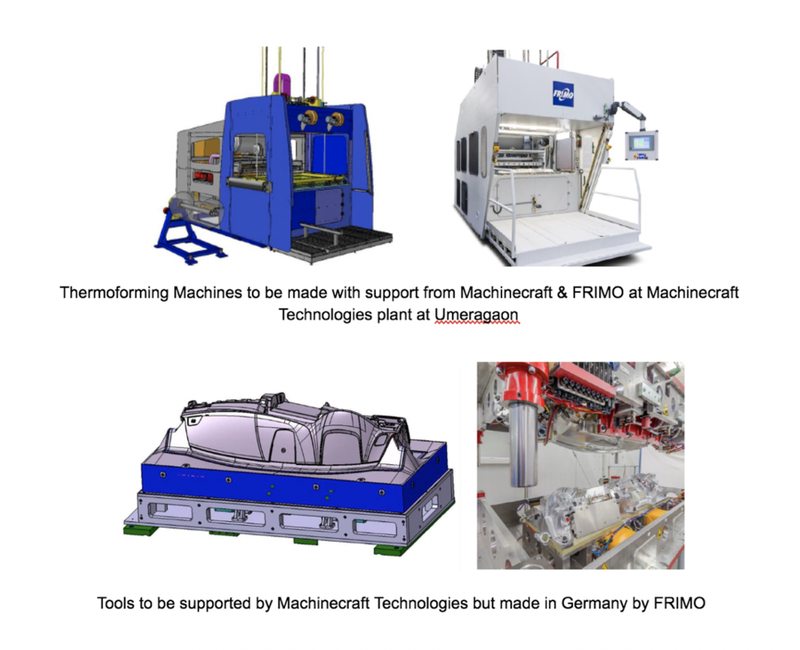 In December 2018, the company established a partnership with FRIMO, Germany - one of the world’s leading providers of tools and machinery used to manufacture plastic parts for car interiors, for example, car dashboards, door trims and armrests. Its customers are mainly automotive suppliers for the passenger as well as commercial vehicles. With this alliance, Machinecraft aims to enter vertically / deeper in the automotive industry by now having machines & tools to help the suppliers produce parts not only for the exteriors using polymers like ABS, PC, PE but also the interiors using polymers like PVC, TPO, TEPEO2. 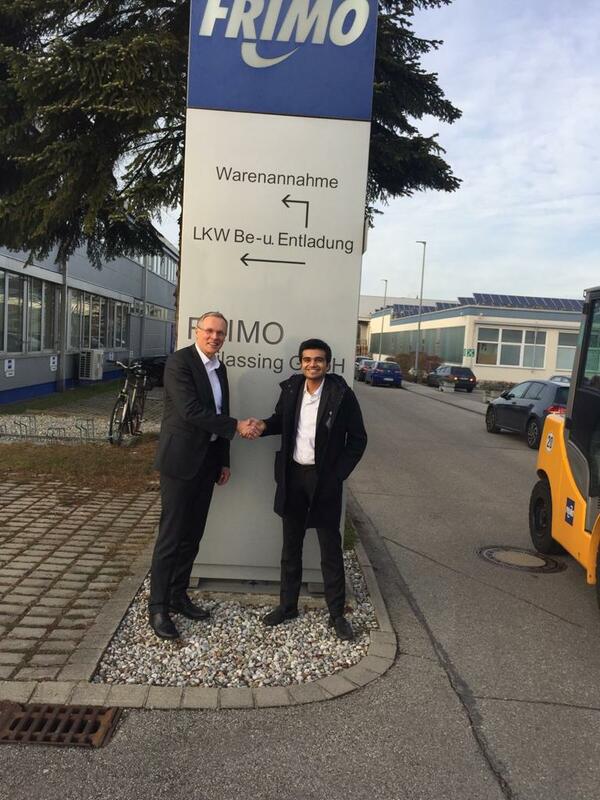 The partnership aims to bring thermoforming, vacuum lamination, press lamination, edge folding & PU processing technologies from Germany to India by co-manufacturing some of the key technologies at the new manufacturing plant at Umergaon in India and sourcing the rest from FRIMO’s global locations. With this partnership, both the companies hope they can bring in soft feel interior part manufacturing to the tier I suppliers in India. Let’s hope the dashboard/door panel of the next Tata Harrier or the Hyundai Creta will be made in India and not imported as the case currently.